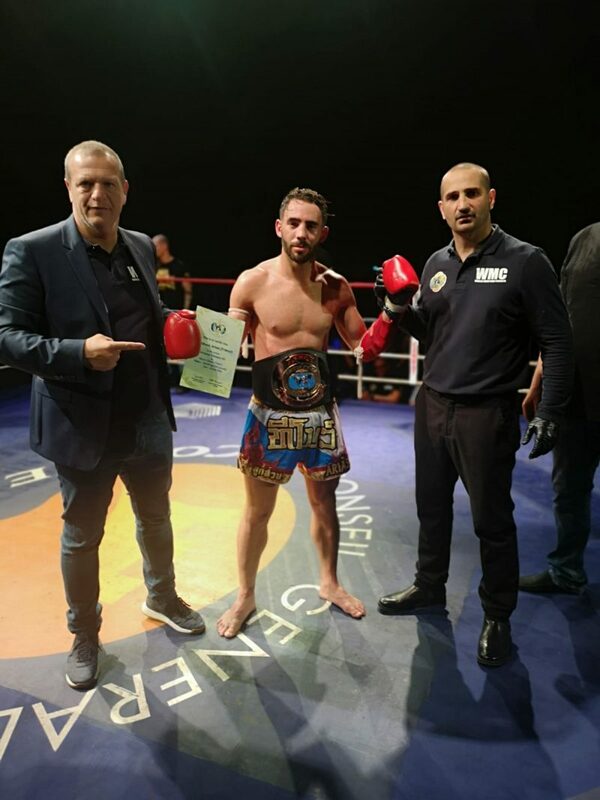 Saturday the 13th April saw an evening of international muaythai action on the French island of Corsica in front of 1,500 spectators. 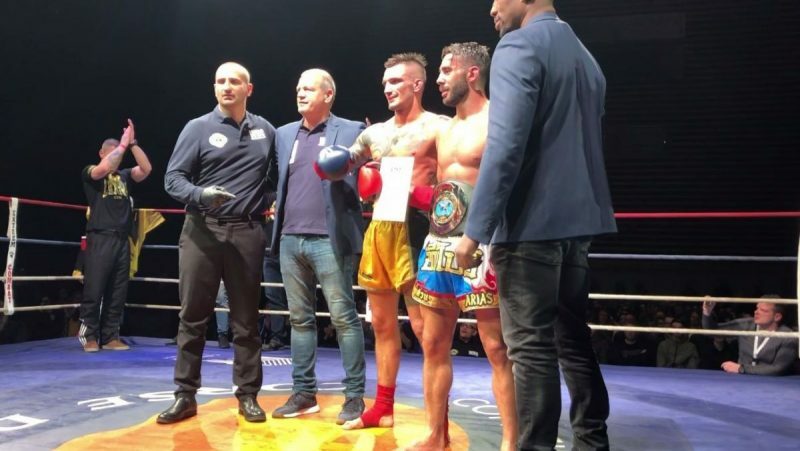 Alongside a packed under card the headlining fight of the night was between Ladislav Kristufek from the Czech Republic and Thibault Arias from France for the vacant 66,68kg/147 pounds WMC European title. After 5 hard fought rounds the fight went to the judges score cards in favour of Thibault from France much to the pleasure of the crowd. 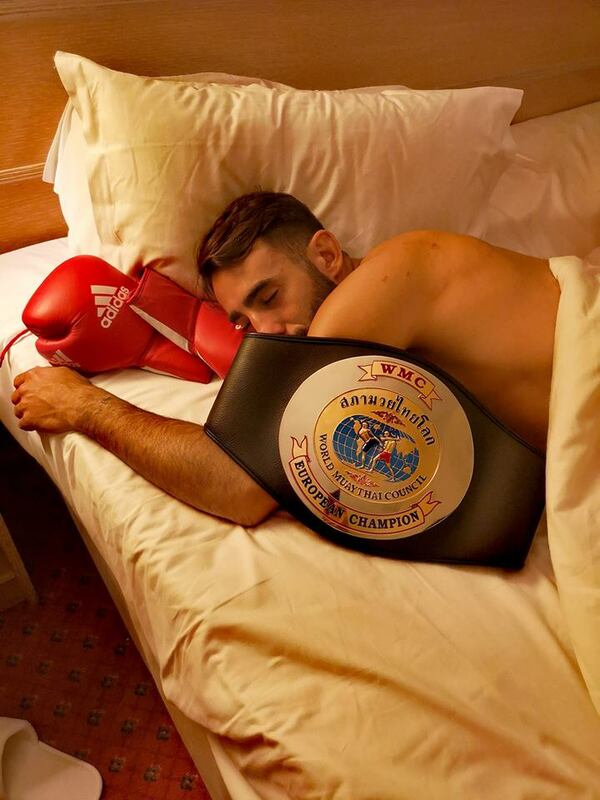 After the fight Thibault stated that ” I am usually a hard character but I almost cried, I had tears in my eyes as winning this title means so much to me, I have sacrificed so much in training for this fight which has been very difficult so it is nice to finally get a reward so I am not letting the belt out of my sight for the time being. Pascal the President of WMC France stated that “with this belt Thibault and his gym can now help popularise muaythai in Corsica, muaythai is unique as it uses all 8 limbs and they showcased how efficient this martial art is compared to others in front of a packed stadium, which is highly beneficial for the sport”. This entry was posted on Wednesday, April 17th, 2019 at 12:01 PM	and is filed under News.